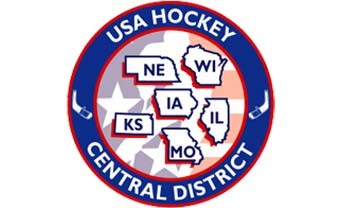 Thank you to the 390 players that participated in the USA Hockey Central District Girls tryouts this past weekend. In order to streamline the communication surrounding selections, avoid confusion about the notification process, and provide families with as much advance notice as possible for planning purposes, USA Hockey and the Central District follow a National Notification Timeline. Please reference the National Notification Timeline for details about the 2018 notification dates and player selection process. Please contact me at abradford@depere.k12.wi.us with additional questions. April 18, 2018 – All invitations will be emailed for the Central District Player Development Camp June 17-22. Registration and deposit of $100 will need to be made by 10:00 PM on April 23, 2018. If you do not register by this time, your skater’s spot for the camp will be forfeited and an alternate will be contacted. If payment is an issue, contact Andy Bradford. Demand for this camp is very high, do not delay when registering. If you plan to decline your spot, please let Andy Bradford know right away so a replacement can be named. A full list of participants will be posted by May 15, 2018.